NEW YORK / LONDON (October 26, 2017) — NewBay, publisher of Installation, ISE Daily, Infocomm Daily, TVBE, TV Technology,Systems Contractor News, Pro Sound News Europe, and AV Technology Europe, is excited to announce the launch of the AV Technology Europe Awards, 2018. 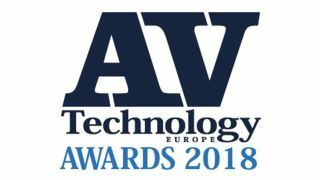 Taking place February 7 in Amsterdam – the second official day of ISE 2018 – the AV Technology Awards provide a brand new and exclusive platform for the AV end-user community to celebrate the increasingly pivotal role that AV plays for businesses around the world – from corporate to hospitality, education to retail, and everything in between. Buoyed by the hugely successful launch of AV Technology Europe in September (in print, digital and online), the AV Technology Europe Awards will focus on both individuals and companies - rewarding innovation on behalf of companies and teams through our technology and project awards, and individuals through a series of awards focused on AV professionals at different stages in their careers. “We are delighted to be launching the first dedicated AV awards ceremony for end users”, says Mark Burton, Managing Director, NewBay. “This new event will provide great networking opportunities at ISE whilst also recognising innovation and achievements in AV throughout end-user businesses. We look forward to welcoming all of our guests and short-listed entries there. “There are some truly extraordinary and innovative examples of AV technology in action today and we feel it’s important to recognise and celebrate those companies and the people who made it happen,” added AV Technology Europe Editor, Michael Garwood. For full details on the categories, required criteria, how to enter and to book your tickets, please visit our dedicated events website by clicking here. Entries are free and open now – so don’t miss out! NewBay is positioned at the centre of the world’s most dynamic industries—Music, AV/Pro Audio, Consumer Electronics/Gaming, Video & Broadcast, and Education. We connect and inform millions of constituents in these industries through our award-winning content, integrated media capabilities, and high-profile network-building and informative events. NewBay proudly serves some of the broadest BtoB professional and music enthusiast communities in the world through over 60 print and digital publications, 100 integrated web and mobile applications, 75 conferences and conventions, custom marketing services and e-commerce capabilities. Find out more at www.nbmedia.com.